Many of us have grown up seeing a bottle of bleach in our homes. It is pretty safe to say it actually was a staple. Somehow bleach gained traction and in addition to making our white clothes whiter, it is now used to clean everything from toilets to kitchen countertops to sinks. Bleach though isn’t technically a cleaner, it’s a disinfectant. 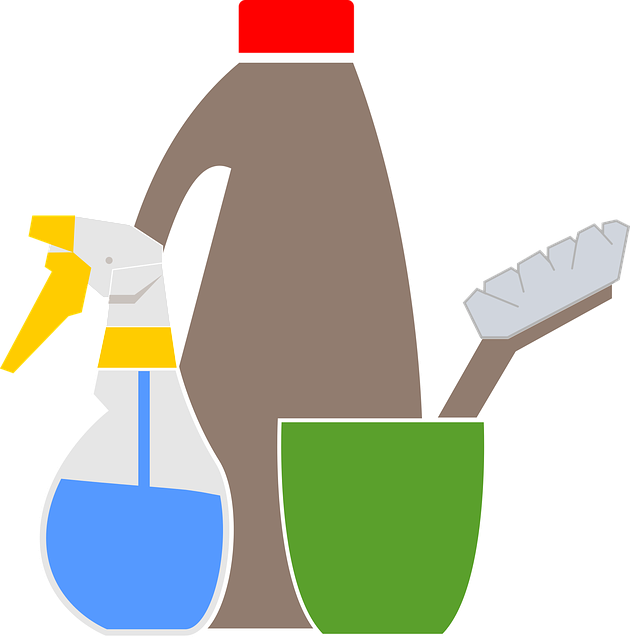 A disinfectant contains chemicals that destroy or inactivate microorganisms that cause infections. At best, bleach is a disinfecting cleaner. Yet, many people use this product for everyday cleaning. Yes, it kills germs and yes, that makes us feel safe, but at what personal cost? In a previous article, we discussed the different purposes of cleaning, sanitizing and disinfecting. Furthermore, OSHA recommends since the purposes are different then individuals should use the least hazardous cleaning chemical to take care of the job. 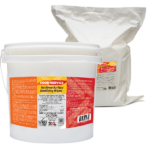 This recommendation is especially important when you consider that bleach contains sodium hypochlorite. On its own, this chemical compound is not considered toxic, but if you mix bleach with ammonia (or any other acid, including vinegar) it releases toxic gas that can harm or even kill you. Need a little more proof that bleach packs more than just a cleaning punch? Let’s review the label and see what else we can find. Prolonged contact with metal may cause pitting or discoloration. Environmental hazards: product is toxic to fish, aquatic invertebrates, oysters and shrimp. This warning is interesting because the label tells us to flush out drains before and after use. After using the product, water goes down the drains along with the product. At some point the water is put back into the environment. Pre-wash surface, mop or wipe with bleach solution. Allow solution to remain on contact surface for at least 5 minutes. Rinse well and air dry. The most important direction: DO NOT use this product full strength for cleaning surfaces. Always dilute strictly in accordance to the directions. So basically, if you are not diluting it properly you are not using it properly. Okay, let’s recap – if we are going to use bleach as a cleaner, we should dilute it before use, wear gloves, wear protective gear, flush out drains before and after use, pre-wash surfaces and let product stay on for 5 minutes then rinse and let air dry. Also, we should not use other cleaning products simultaneously. Seems like an awful lot of work just to get some basic cleaning done. Maybe we should just buy and use a pre-mixed disinfecting cleaner with bleach instead. Not so fast. Here are the label precautions listed on that product. Use only in well ventilated areas. Before use, open windows and turn on fans. Leave room while product is working. Clearly, even pre-mix sprays with bleach are not the answer to solving a dirty mess. Maybe bleach isn’t such a great all-purpose cleaner, after all? How about using an all-purpose cleaner that is much safer and does not pose acute or chronic toxic effects? 2XL Antibacterial GymWipes are the answer to your cleaning, deodorizing and disinfecting needs. 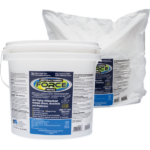 Our EPA registered wipes are bleach-free, phenol free, alcohol free and ammonia-free. Our wipes do not need to be diluted and do not irritate your skin. They do not harm the environment and don’t get flushed into water systems. There is no need to wear personal protection equipment when using them under normal conditions. 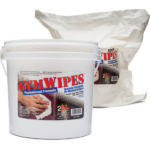 These pre-saturated wipes are safe enough for daily use on a variety of surfaces yet powerful enough to kill germs- 44 pathogens to be exact. 2XL wipes are easy-to-use and the answer you have been looking for to keep clean and germ-free. 2XL is your trusted partner when you need to clean, deodorize and disinfect.